Boodendorf is now in on the JoJo's Bizarre Adventure All-Star Battle craze. Watch his Kochi combos inside. 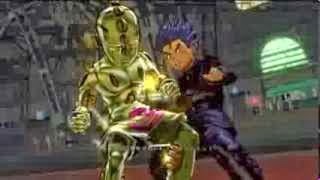 Boodendorf has posted a new JoJo's Bizarre Adventure All-Star Battle combo video featuring Koichi. The combos do substantial damage and one even reaches 63 hits.